How Hydroponics Systems Work For You, Part 2: Aeroponics & Nutrients - Rosebud Magazine Hydroponics Lifestyle Growing And Entertainment! 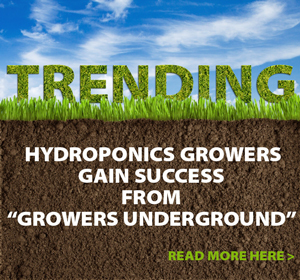 In our previous article in this series, we noted that hydroponics growing is superior to soil growing and that there are many types of hydroponics systems. We introduced a major division in categories of hydroponics systems - systems that use solid root zone media such as rockwool versus systems that use no root zone media. The example we used is a system that has rockwool in the root zone compared to an aeroponics system that has no solid media. So let’s start with those two types of systems here as well. The system with rockwool in it is a drip irrigation system. It is extremely easy to use, in part because rockwool as manufactured by Grodan is designed by horticultural scientists to suit specific hydroponics growing needs. Drip irrigation in general, regardless of whether you use rockwool or not, is an easy hydroponics system for you to run. 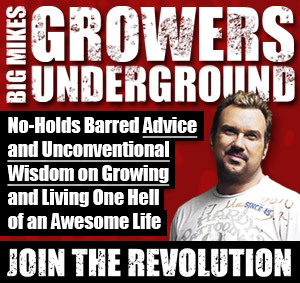 You only need root zone media, hydroponics nutrients, a reservoir, pump, tubing, and drip emitters. But the use of drip irrigation and many other hydroponics systems brings us to yet another major division in hydroponics categories. This division centers on what happens to your nutrients water after it has been delivered into your root zone. Growers using closed systems must experiment with adding fresh nutrients to their reservoir to top up their nutrients water in between making fresh batches of water. In a so-called closed system, nutrients water is returned to a reservoir after it has been delivered to your hydroponics roots. Surely you are already seeing the practical differences between closed and open systems. When you drain to waste, you have to mix your nutrients more often, and you mix them fresh. In a closed system, you mix your nutrients fresh every 5-7 days. What are the plusses and minuses of these two approaches? With an open system your plants are getting a freshly-mixed complete dose of essential nutrients every time water is applied to their roots. In a closed system, some individual nutrients store in your root zone media and/or are taken in by your plants. The nutrients water that goes back to your reservoir in a closed system does not contain the same ratios and amounts of individual nutrient elements as what went in. Over the course of a week, the nutrients water in a closed system will drop in ppm, and the pH will change. That’s because your root zone is trapping some nutrient elements, or your plants are holding on to some nutrient elements. Growers using closed systems must experiment with adding fresh nutrients to their reservoir to “top up” their nutrients water in between making fresh batches of water. However, this is an imprecise approach that risks overloading or underloading crucial nutritional elements. 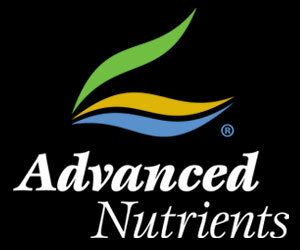 Hydroponics manufacturer Advanced Nutrients has solved this problem for you by creating a hydroponics nutrients “systems approach” that integrates properly-designed base nutrients and hydroponics supplements to offset the differentials that happen in closed systems. Using the systems approach you ensure that your hydroponics plants get a full complement of essential nutritional elements every time nutrients water enters their root zone. In our next articles on this topic we will discuss further details about the differences in hydroponics systems, and the advantages and disadvantages therein. Check back with Rosebudmag.com frequently so you get this valuable knowledge that increases your hydroponics success! Read Part 1 of this series - click here. The only hydroponics nutrients system that provides full feeding in all types of gardens.